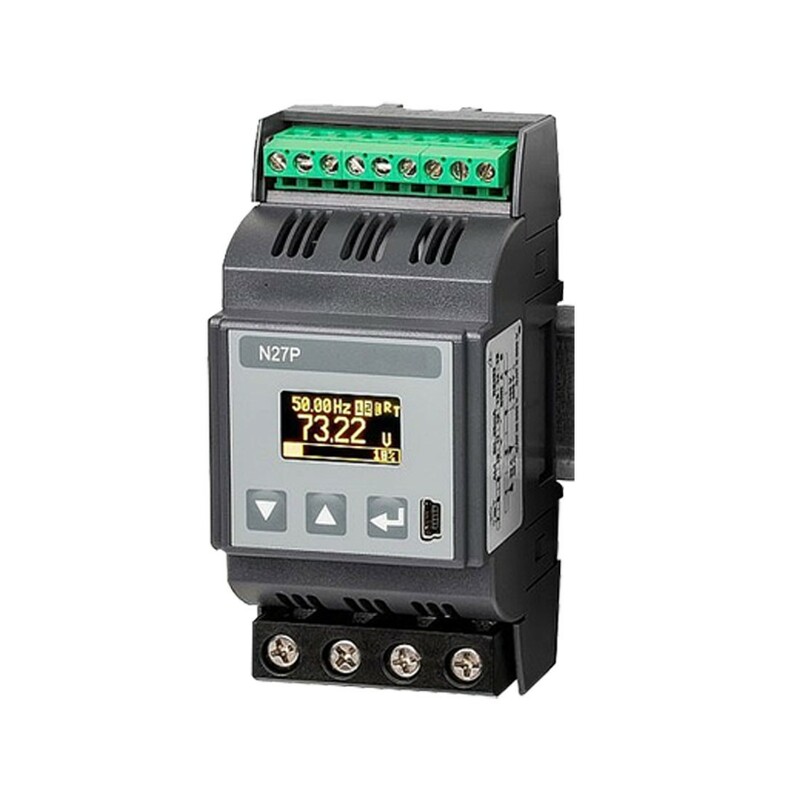 N27P is a monitor of single-phase network parameters and the conversion/recording of energy consumption. The DIN rail mount makes it the ideal solution for industrial applications and single phase motor applications. The meter can be configured through the front keypad or usb using the eCon software. The graphics display utilizes OLED technology for viewing in adverse conditions.